Bilaspur was the capital of a state of the same name founded in the 7th century, also known as Kahlur. The ruling dynasty were Chandela Rajputs, who claimed descent from the rulers of Chanderi in present-day Madhya Pradesh. The town of Bilaspur was founded in 1663. The state later became a princely state of British India, and was under the authority of the British province of Punjab. On 13 May 1665, Guru Tegh Bahadur went to Bilaspur to attend the mourning and funeral ceremonies for Raja Dip Chand of Bilaspur. Rani Champa of Bilaspur made an offer to the Guru of a piece of land in her state, which the Guru accepted at the cost of 500 rupees. The land consisted of the villages of Lodhipur, Mianpur, and Sahota. Guru Tegh Bahadur broke ground on a new settlement on 19 June 1665, which he named Nanaki after his mother. In 1932, the state became part of the newly created Punjab States Agency, and in 1936 the Punjab Hill States Agency was separated from the Punjab States Agency. On 12 October 1948 the local ruler, HH Raja Sir Anand Chand, acceded to the Government of India. 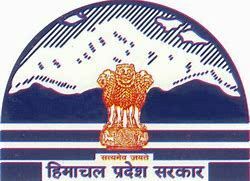 Bilaspur became a separate state of India under a chief commissioner, and on 1 July 1954, Bilaspur State was made a district of Himachal Pradesh state by an act of the Indian Parliament. When the Sutlej River was dammed to create the Govind Sagar, the historic town of Bilaspur was submerged, and a new town was built upslope of the old.